Steve Joseph is CEO and co-founder of Smart Home Products Inc., an international kitchen appliance sourcing, sales and service solutions company. He is passionate about helping homeowners cook better through innovations in the kitchen. In addition to supplying high-quality kitchen appliances and components, Smart Home Products works with appliance brands around the world to design and develop innovative new appliances, integrate IoT connected kitchen technologies, and sell to distributors, retailers and builders. Smart Home Products also owns and licenses a portfolio of historic American appliance trademarks. Prior to Smart Home, Steve was president of Dacor, a manufacturer and distributor of luxury kitchen appliances. At Dacor, Steve led the design, development and sourcing of many industry-leading appliances, including the world’s first smart, connected ovens and ranges, winning Best in Show KBIS and Best of CES Home in 2014. He has a B.S. in Business Management from Pepperdine University. 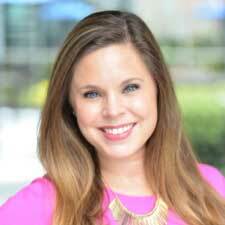 Emilee Chappell is director of marketing for TOTO Americas, one of the world’s largest plumbing manufacturers and a leader in performance design and innovation. Emilee is responsible for TOTO’s overall marketing strategies and oversees the implementation of its integrated marketing, advertising and public relations activities. She graduated from the University of North Alabama with a Bachelor of Arts in Communications and has been with TOTO and active in the kitchen and bath industry for more than 14 years. She has served as both the Chair and a Board Representative for the NKBA KBIS Advisory Council. 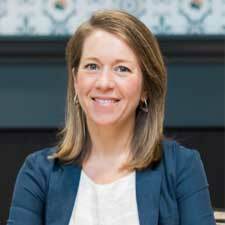 Allison Lowrie joined the parent of Angie’s List and HomeAdvisor in 2010 and was named chief marketing officer in 2015. Lowrie specializes in brand management, customer acquisition, communications and marketing intelligence. Prior to ANGI, Lowrie acted as the director of advertising products at Cars.com for nearly six years. During this time, she led the rapid growth of the company’s on-site advertising products and launched its yield management practice. 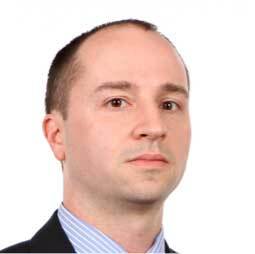 Lowrie previously worked at Boston.com and Arnold Worldwide. Lowrie serves on the Home Improvement Research Institute Board of Directors and Harvard’s Joint Center for Housing Studies committee. Neil Bailey serves as president of Cabbonet USA. Created by award-winning British designers, Cabbonet is a refreshingly unique luxury kitchen and furniture brand offering a level of quality and choice of materials missing from the industry at an accessible price point. The line is available to select retailers, designers, architects and developers. 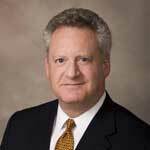 Previously, Bailey worked in the U.S. as president and CEO of Poggenpohl U.S. and Canada, and president of Smallbone of Devizes. 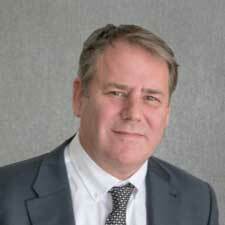 Before that, he was managing director for Poggenpohl Group UK and Ireland. Through acquisition and development, Bailey helped grow the UK network into one of the company’s most successful globally. His career spanned more than 25 years in sales and retail management in the European home improvement industry before he moved to the United States in 2012. 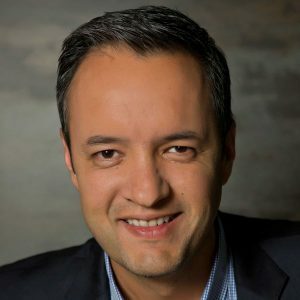 Lorenzo Marquez, who served as chairman of the board for the past two years, is president of Marqet Group, a full-service marketing agency specializing in the design and construction industry. In his role, he supports manufacturers and trade partners in developing campaigns to increase market share through public relations, advertising, merchandising and digital strategies. He is also an executive member of The Rockheads Group, a private surface fabrication network that represents independent stone fabrication businesses across North America. His previous experience includes working for Cosentino North America, where he served as vice president of marketing for 10 years. He has been on the NKBA Board of Directors since 2013, after serving on the KBIS Council for three years. He received a degree in Entrepreneurship from the University of Houston, is married with five children and resides in Houston. Michael Mahan is vice president of strategic marketing and category & offer management for Schneider Electric’s North American Final Distribution Line of Business, and is responsible for the short- and long-term product strategy and evolution of Schneider’s Final Distribution electrical business. His primary focus is to bring innovation and differentiation to the company’s portfolio of products, develop new solutions that address current and future market trends, develop commercial and technology partnerships and establish new services while exploring new channels. Prior to this role, Michael lead the Monogram brand team at GE Appliances, and managed GE’s EV Infrastructure and Low Voltage Equipment businesses at GE Industrial Solutions. He holds a Bachelor of Science degree in Mechanical Engineering from Worcester Polytechnic Institute and an MBA from the University of Connecticut. He lives in Nashville with his wife and son. 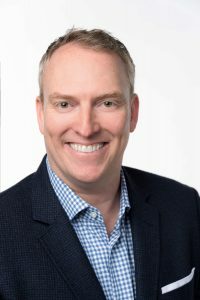 Steve Petock is senior vice president of business development for Ferguson, the largest distributor of residential and commercial plumbing supplies in the U.S., where he is responsible for the business development and strategic direction of the company’s multiple business segments. Steve has more than 35 years of experience working in sales and management for the kitchen and bath industry. A Virginia native, he graduated from Roanoke College and throughout his career, he has attended executive development programs at Stanford University, Harvard Business School, Duke University, the Darden School of Business and International Institute of Management Development in Switzerland. 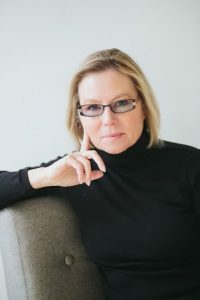 Jan Neiges, CKD, principal of her namesake design firm in Denver, is an award-winning kitchen designer and past president of the Rocky Mountain Chapter of NKBA. She’s a frequent guest lecturer at colleges, home shows and at KBIS. Capitalizing on 40 years of sales experience and 20 years of design, she has helped colleagues hone their marketing and selling skills with a process specific to kitchen and bath designers that has been proven to shorten the lead-to-sale cycle, improve the closing ratio while also earning design fees before they design. 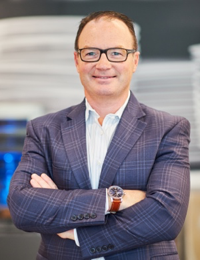 Basil E. Larkin, vice president of sales for Hestan Commercial Corp. in Anaheim, Calif., has been in the appliance business for nearly his entire professional career, holding key roles in sales leadership, marketing and product development. Before joining Hestan, he was vice president of sales and marketing at Lynx Professional Grills, and vice president of sales for North America at Viking Range Corp. He holds a Bachelor of Science in Business Administration from the University of Massachusetts.